Each spring my son, Kai, and I go on a planting frenzy. We are currently prepping our yard to grow our tomatoes, broccoli, watermelon, and peas. Kai loves his plants. He sings to them and talks to them. Each morning before he goes to school, and again right when he gets home, he prances out into the backyard to say hello to his little friends. This year, I thought we’d bring some plants inside as well. This way, when the sun goes down we can still enjoy them. There are so many different types of pots to choose from. 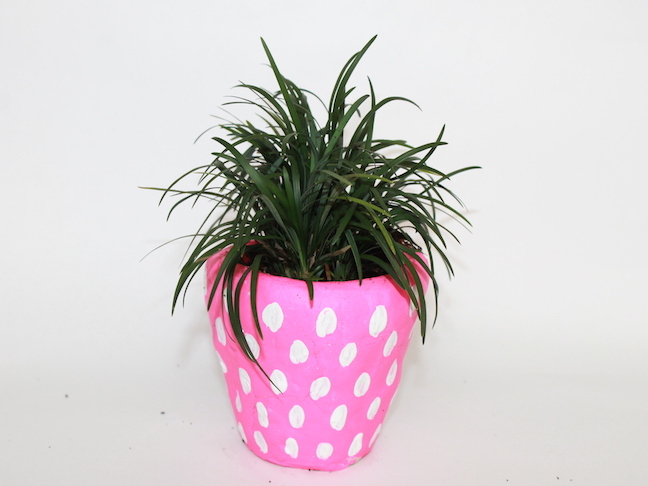 I often stick to terracotta pots, which are great to use because they are inexpensive. But they never match my décor, so I often paint them. 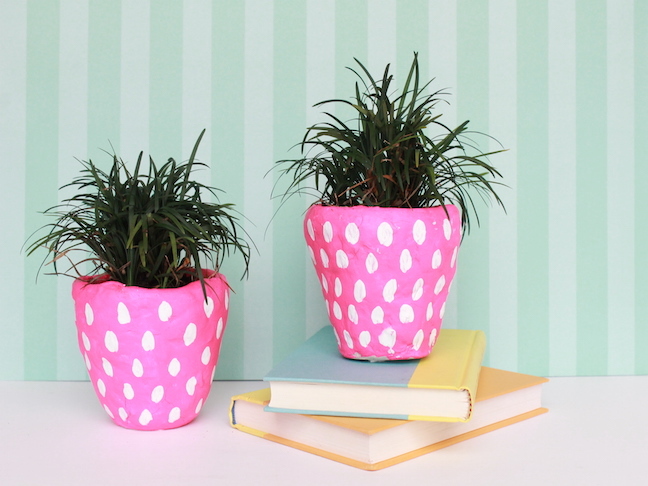 Instead of simply painting a pot this time, I thought I’d jazz it up by making a DIY clay pot look to look like a strawberry, using air-dry clay to give it more of a fruit shape. 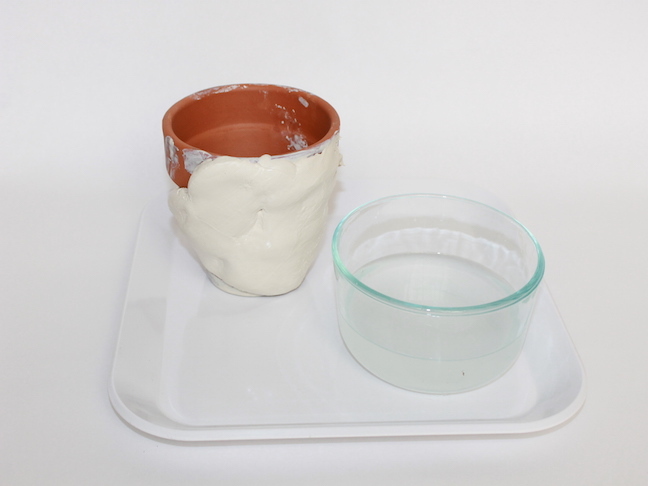 Step 1: Spread the air-dry clay over the terracotta pot. Use water to blend it over the pot and create a round strawberry shape. Step 2: After some trial and error, I figured out that I needed to wrap plastic wrap around the pots so they dry slower. Without the plastic wrap, the clay dried too fast and it created cracks. If this happens, simply spread more clay over the cracks and smooth it in. Then wrap it in plastic wrap. Let dry. 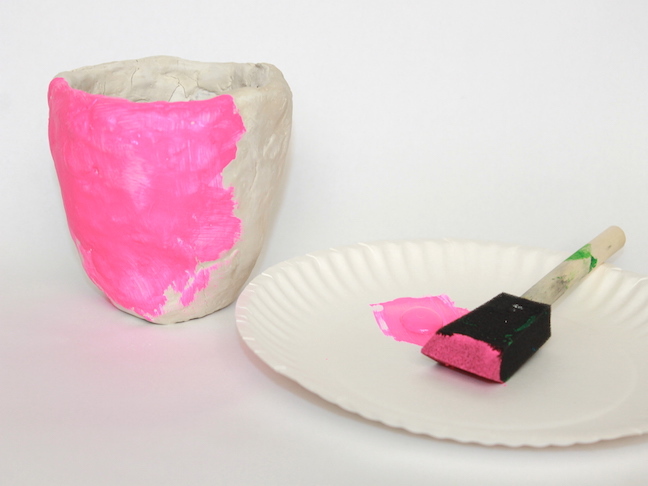 Step 3: With your paintbrush, paint your pot pink. Let dry. 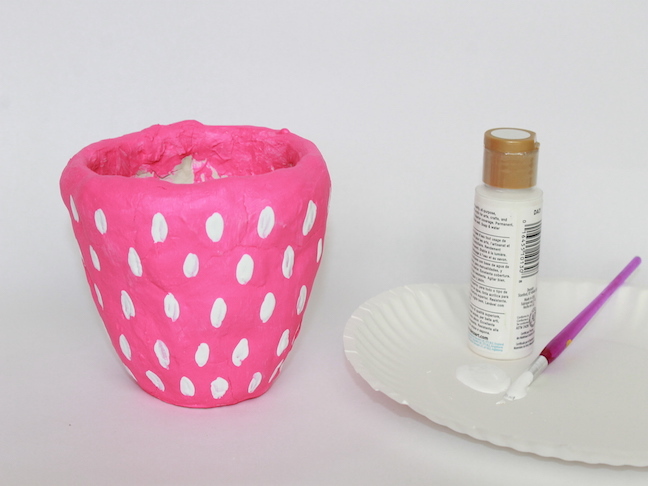 Step 4: Paint white dots onto your pot. Step 5: Plant your plant into the pot. That’s it! 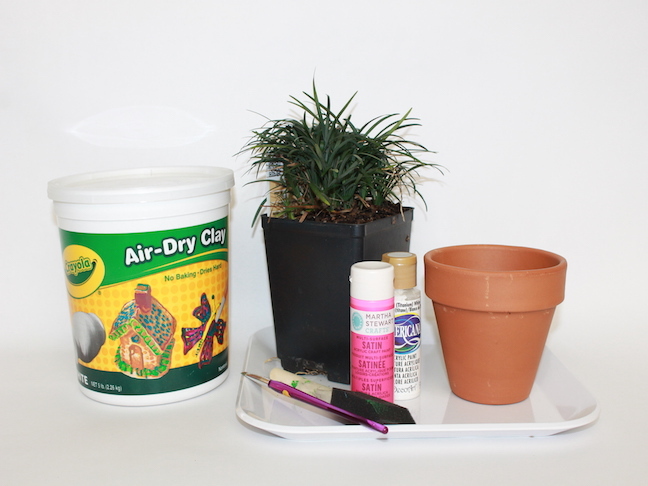 You could use the same method to create pineapple planters, too. Just use yellow and green paint instead.